Portugal is a country full of riches that one cannot summarize on its two main cities, Lisbon and Oporto, or, for those who love the beach, the Algarve. 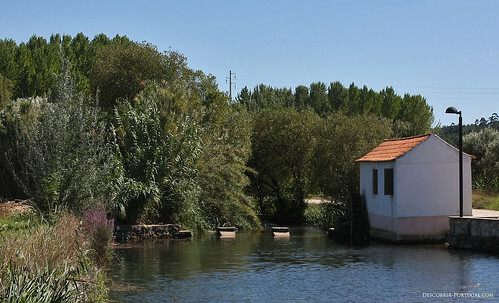 No, Portugal is much more than this, it is also a country with fantastic landscapes, full of history, ready to welcome people who love the nature and authenticity of regions still intact, far from mass tourism we can observe on the coast. 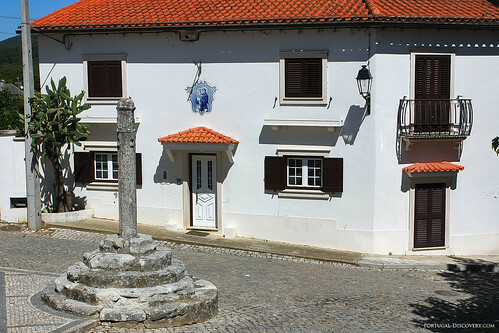 The village of Redinha is one of these extraordinary places, by its nature, its monuments, but also for its history, which is forever tied to France. 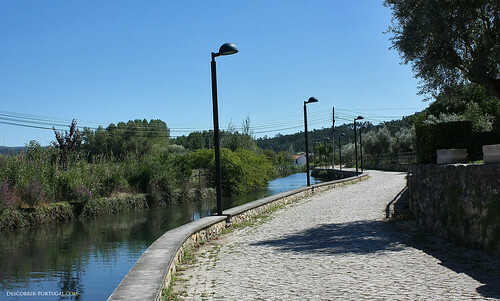 Redinha, located not far from the city of Pombal, at equal distance from Oporto and Lisbon. 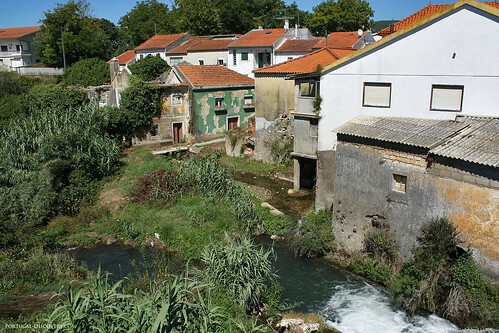 The parish is crossed by the Anços river, a tributary of the Arunca, itself a tributary of the Mondego River. 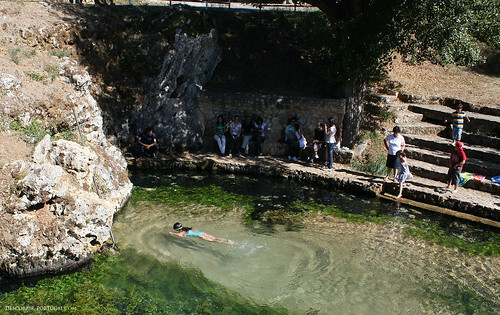 It is a small river of clear water, which takes its source nearby, in the locality “Olhos d’Agua”, i.e. “water eyes”, an expression recurring when it refers to a source. 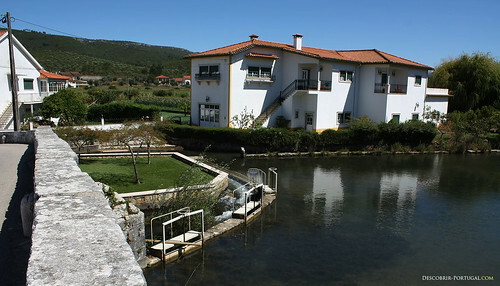 If you want to relax a bit, the source of Anços is without doubt the place you need. 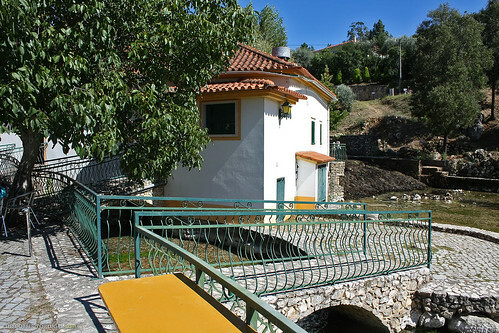 Everything was renovated and thought to be able there to spend a pleasant time, with one large terrace along the River, where you can drink a soft drink or swim in the water of Anços. 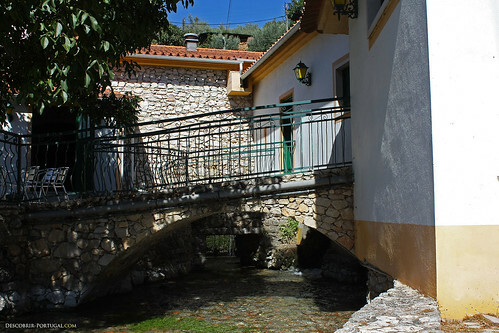 The village is very ancient, it has been inhabited since Roman times! It must be said that its situation is ideal, between the hills and the river of pure water, fertile land for agriculture. How can you not want to live there? Just looking at the photos of Redinha, we just imagine the quality of life… and now if we were living there the whole year? Yes, of course, it is not all the time like that, and the winter is sad as everywhere in Europe. 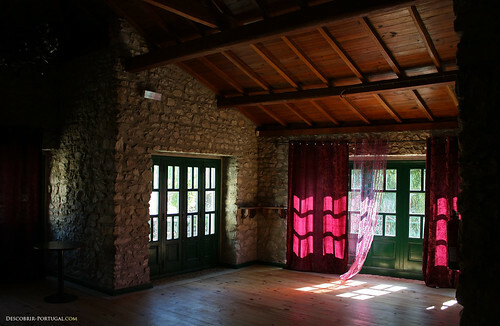 But the nature, history and the facilities of modern living close by, it’s a dream. Strolling at Redinha, imagine well the former wealth of the city, watching so many churches for a small village, or watching his former Romanesque bridge, which must be there before even the foundation of the country in 1143. Or maybe later? No one knows exactly the age of the most famous monument of Redinha! 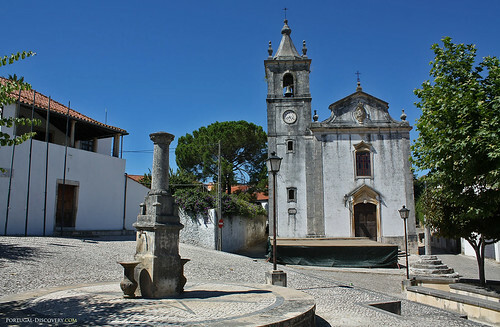 The village entered in the history of Portugal in 1159, when the master of Templars, Dom Gualdim Pais, gave “foral” to Redinha, a specific Portuguese medieval document establishing Redinha as directly bound to the King or the master of Templars, and not to a local Lord. 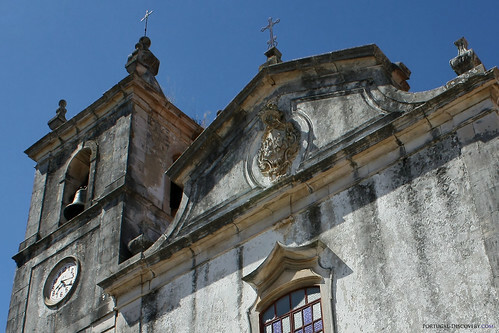 The foral was thus conceding privileges, but also duties, with the main objective of promoting the growth of the Christian population in the region. 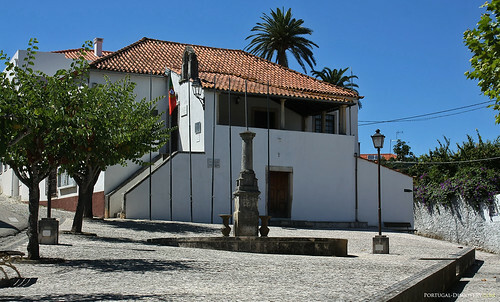 Redinha is a historical locality, which was for many centuries the seat of a municipality. We can see even today some elements of this ancient prosperity, looking at the seat of the current parish (or town hall), the old cobbled streets and, of course, the churches. I told you that Redinha had its history linked forever to the French. In 1807, Napoleon, at war with the old European monarchies, decides to “kill” Portugal, the oldest ally of his greatest enemy, the United Kingdom. On the plans of Napoleon, Portugal should be separated into three separate entities, each administered by a different person. We understand easily that Portugal would never accept. This war would last several years, and is with no doubt still told negatively on all the books of Portuguese history for many centuries even. The country has been devastated by the war, looted and ravaged. 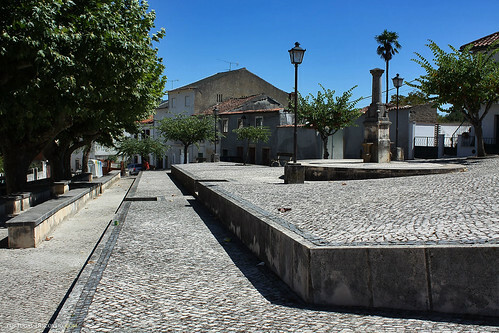 From the smallest village to the largest city, there is not many places can boast of not having negative consequences from these wars: it will be recalled for example the damage to the Castle of Leiria. It was in this context of the war that the Redinha Battle comes. The French, disappointed by the impossibility of submitting Portugal, retreat. Many battles will be fought, one of which was the Redinha battle. 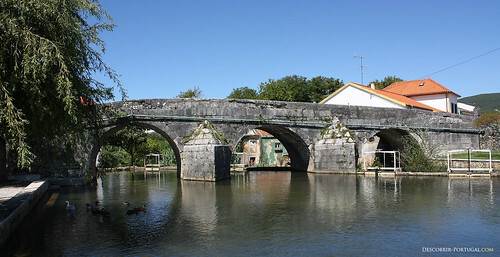 Redinha was at the time a strategic place, known for its bridge, allowing armies to cross the rio Anços without getting wet. 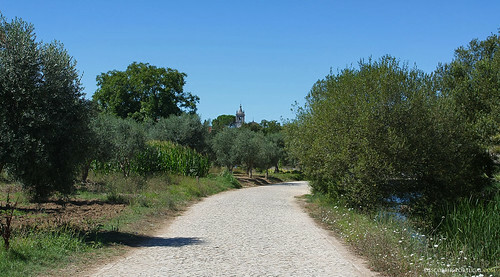 It was here that anglo-Portuguese allied troops fought the battle, seeking to delay the most possible the French army. To discourage the French, the allies practiced the technique of “burnt Earth”, leaving nothing to the invaders, in the hope of starving them. Bet achieved, many French will desert or simply die. 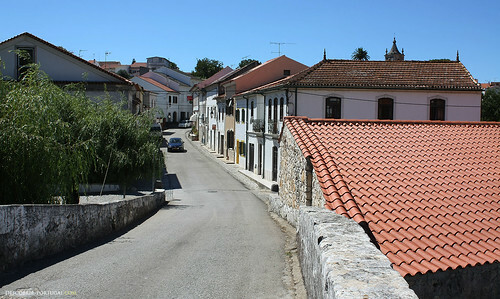 Redinha today is a small village of 2000 inhabitants, which values its heritage and its history. It was in this context that a reenactment took place, the March 12, 2011, for the 200 years of the battle. 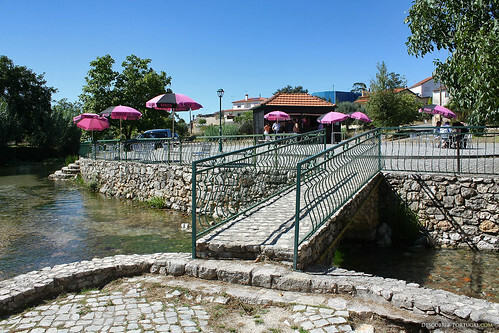 We can now see commemorative tiles next to the old bridge, reminding us that in this place, a battle took place. A little everywhere in Portugal there are such commemorations, celebrating the defeat of the armies of Napoleon, much thanks to the English it should be said. But at the same time, if Portugal was not a British ally, Napoleon would never have been there… Portugal never again managed to raise again from the destruction, the country experienced the most severe period of economic crisis in its history since centuries … and Redinha was one of the main victims, never recovering its former splendour, losing even its status of Municipality (concelho) in 1842, being incorporated into the municipality of Pombal. 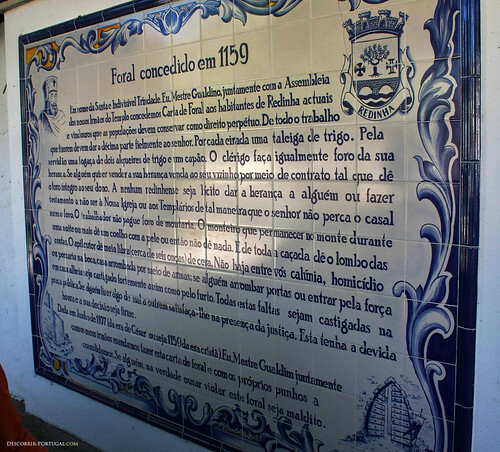 Redinha is today a prosperous village, as the entire region of Pombal, due to the work of its residents, and those who were seeking fortune abroad. 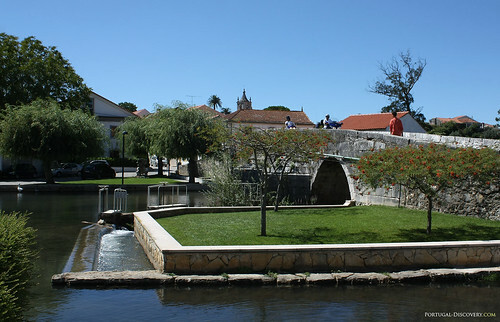 Redinha, away from tourist routes, is worth, to stop a little on the roman bridge and drink a blow at Olhos d’Agua. 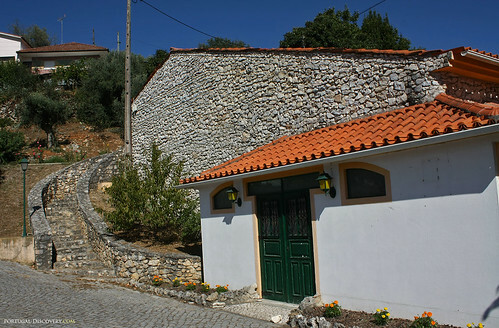 Nothing is better for those who want to know the rural Portugal, the old Portugal. 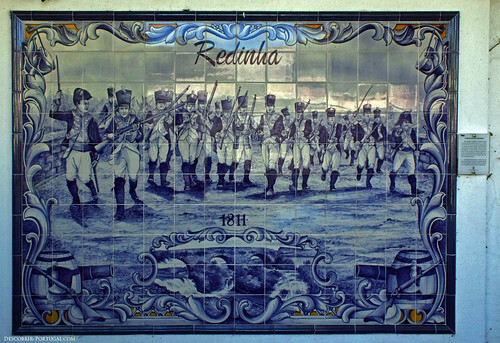 Those azulejos depicts the Battle of Redinha, during the Napoleonic wars. August 20, 2011, 6:40 pm, "Landscape". Can hardly wait to go there in November. Hope the food is good!! 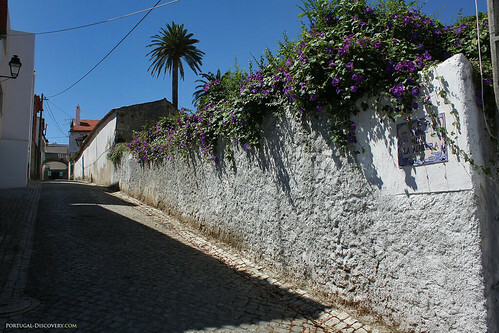 I will be going to Portugal this summer from july 24th to agust. 17th.Can’t wait to visit Redinha. I think it’s a beautiful place.I use to visit there back in the late 70’s With my granparents, my granfather was from there.we use to visit his brother. His name was “Bento” my grandfather’s name was Manuel”Pardal” I also remember my mom had a friend there too named Americo.And I had a friend named Tony we use to swim in the river:)Good childhood memories. Wonderful village. What about another battle reenactment? Portugal Discovery, August 20, 2011. Portuguese version : Descobrir Portugal. French version : Lusitanie.fr.